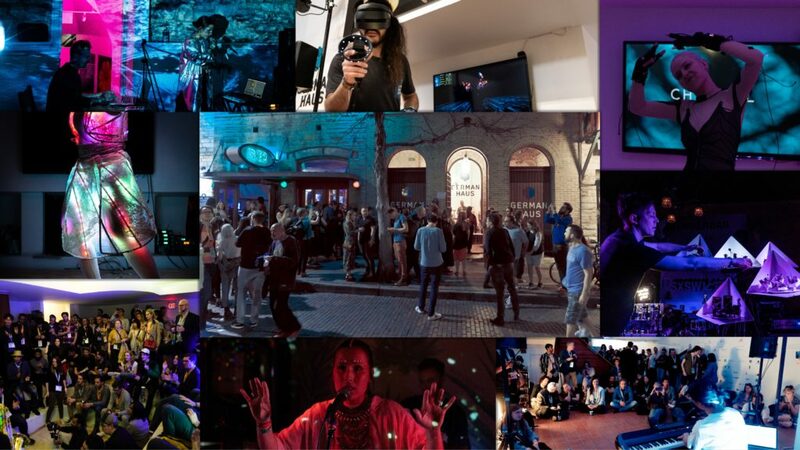 Curated by MusicTech Germany and WickedWork, on two days, the GERMAN HAUS at SXSW 2019 got transformed into a vibrant laboratory for innovation at the intersection of creativity, art and technology. The CreativeTech Days featured exceptional multi-disciplinary artistry and showcased the work of the most forward-thinking visionary minds from across a variety of industries as well as the exceptional spirit of creative-tech entrepreneurship at the intersection of art and technology. Artists and startups from various sectors who all work with creative technology presented their unique projects in multi-sensory performances and interactive Installations. Some of the most forward-thinking and visionary minds from business and academia discussed with German innovators and international experts the innovation potential of emerging technologies such as Blockchain, Artificial Intelligence or Immersive Media for the creative industries and beyond. Rapid technological developments are increasingly blurring the boundaries between the Creative Industry and the so-called Digital Economy. Technological innovations are progressively revolutionizing how we create and consume, and so increasingly and profoundly influence the value chains of all industries. The need to adapt quickly to ever-changing environments and prerequisites requires transdisciplinary collaboration and the exchange of special knowledge and expertise. Innovation can only happen today when information is accessible, disciplines overlap and people connect. 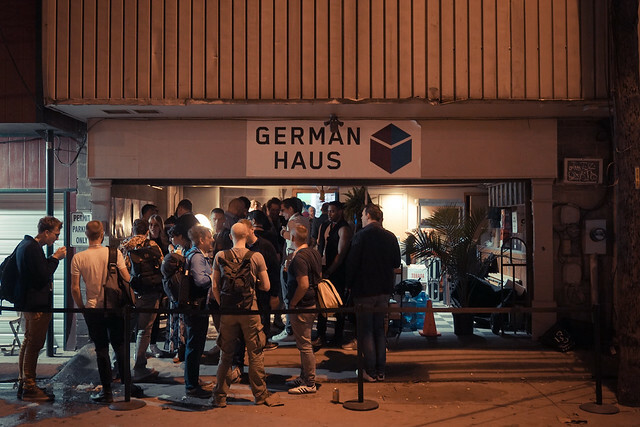 The CreativeTech Days at the GERMAN HAUS provided a platform for knowledge transfer between visionaries at the crossroads of entrepreneurship, research, art, and technology. Allowing visionaries to identify novel ideas, connect with each other and potentially collaborate to develop trailblazing innovation that will enable new creative and economic opportunities across different disciplines. Experts from various sectors presented their work and discussed new and groundbreaking avant-garde approaches for creative technology, determined to further the innovative potential and future success of creators and entrepreneurs. Some of the most forward-thinking and visionary minds from business and academia discussed in different formats with German innovators and international experts the opportunities and challenges of emerging technologies. This marked the first year of the “Creative Tech Grant”, designed to award and further creative tech innovation and artistry. 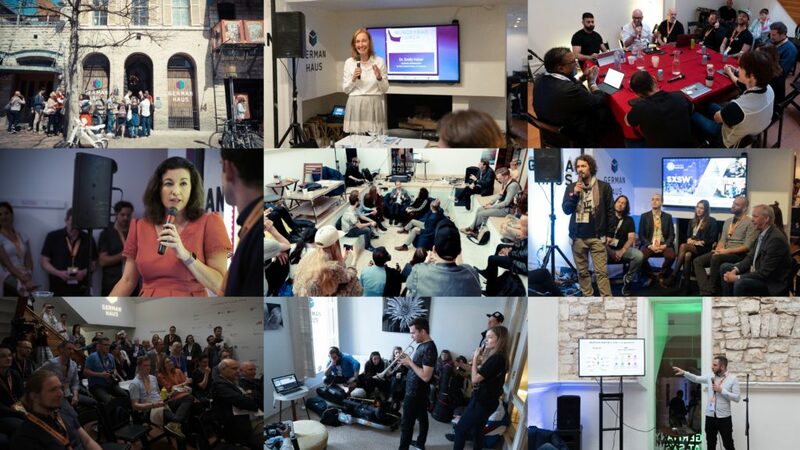 Initiated by MusicTech Germany and in cooperation with and fully funded by the Federal Ministry for Economic Affairs and Energy and Initiative Musik, a selection of artists and start-ups were able to receive financial support to bring their exceptional innovation to this year’s GERMAN HAUS during SXSW 2019. EURYDIKE: A Mixed Reality Experience that questions current gender topics focusing on the female role in our high-tech society. HELLION TRACE – KICKING THE MIC: A multi-sensory show, fusing live tap dance, looping and a sound reactive LED dress. MOOD OF THE FESTIVAL: “Mood Of The Festival” shows the dialog between people and technology, reflecting human emotions through the lens of technology and the artist’s computational code in particular. MPATHY – SISTER MOON:This global project aims to elevate space awareness and will offer delegates the unique opportunity to literally send messages to the moon which will then be reflected off its surface through a collaboration between MPATHY, CAMRAS and the Dwingeloo Radio telescope. One of the world’s first radio astronomy antennas, transceives the echo of the moon of human voice, music instruments and sound art. THE FUTURE IS NOT UNWRITTEN: An intelligent film that narrates and transforms itself endlessly, using machine learning and deep learning neural networks. MELD: A conceptual VR + Brain Machine Interface audiovisual performance in which the performer composes and modulates the audio in virtual reality in real time, while sharing the output of his brainwaves via a procedurally generated 3D world. AICONIX helps media producers create compelling content more efficiently through software bundles of the most innovative and cutting-edge AI products on the market. ANOTHER WORLD VR creates photo-realistic and exciting VR experiences with an emphasis on storytelling, cinematic aesthetics and immersive gaming interactivity. INSTITUTE FOR SOUND & Music: A space designed to nurture the disciplines of sound and music and to preserve it as a living heritage as well as the development of contemporary sound and immersive art practices. Q: A boutique music composition, mixing and sound branding think tank who has helped create music for Guillermo Del Toro, sound design for Steven Spielberg and sound branding for Audi. UX.FTT: A magical jacket that turns into an interactive, wearable MIDI controller through textile capacitive sensors invisibly integrated into the jacket’s fabric. – the robotics engineer, musicologist, and producer of electronic music Moritz Simon Geist, who combines these three areas in his shows and plays his live sets with robots. – Songwriter, producer and singer Chagall, who uses Mi.Mu data gloves to control the music in her performances. – The studied artist, physicist and multimedia artist Byrke Lou, who sings and mixes visual art, electronic music, and dance with live coded, algorithmic compositions in her performances. – As well as the composer and producer of organic, electronic music Robot Koch, who has just released an incomparable work with his 3D album “Music For Planetariums”. He performed with Delhia de France in the pool of the GERMAN HAUS. 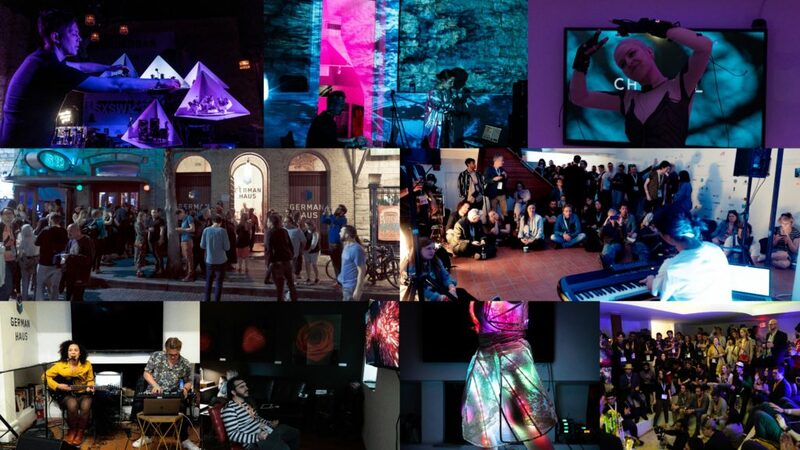 A full summary of the entire program of the “CreativeTech Days” can be found here. 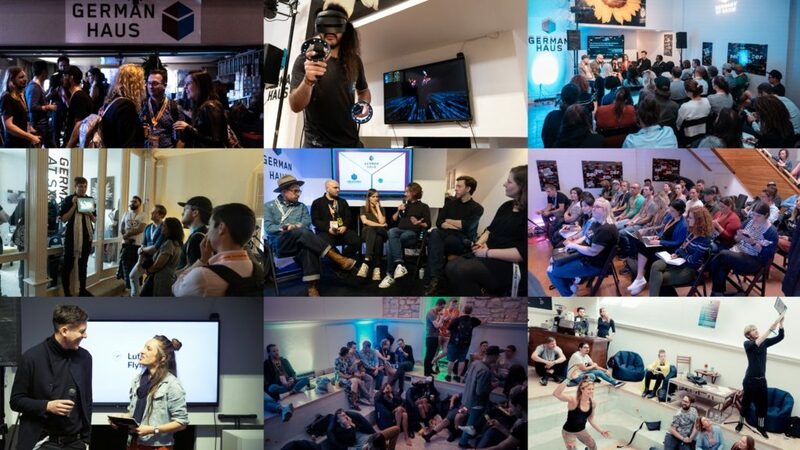 The “CreativeTech Days” celebrated innovation and cross-sector collaborations between the Creative Industry and the so-called Digital Economy. The speakers, exhibitors, and performers represented the extraordinary vanguard of commercial and artistic creative technology in the realms of industry, arts, entertainment, and research. Check out the flickr album we created.